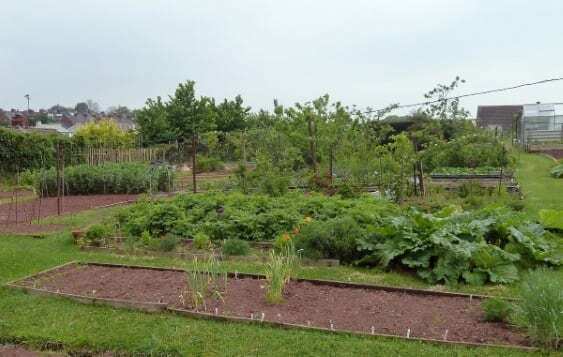 How can I apply for a plot at Whipton Lane Allotments? Below you will find information about becoming a tenant or plot-holder on our site. If you are still interested, you can apply for a plot very easily! How large is a plot? Allotments have been around a long time and they were traditionally measured in rods. You will still hear this measurement being used. Ten rods is the normal size of a full plot. This is roughly equivalent to 250 square metres. Ten rods is quite a large area – especially for newcomers. For this reason, we generally offer new tenants a half plot of 5 rods. 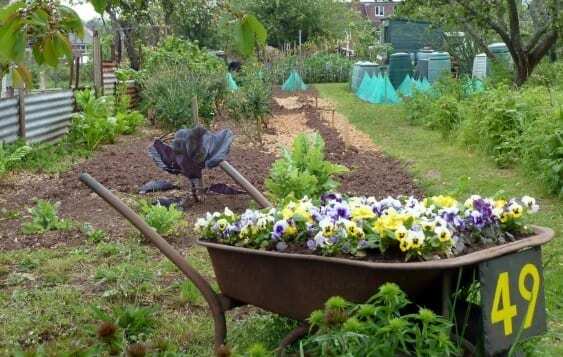 This gives new people a chance to enjoy the benefits of gardening on an allotment without feeling overwhelmed. There may be opportunities at a later date for keen gardeners to increase the size of their plot. How much do I pay each year for my plot? Plots are charged per rod. The current charge (2017/2018) for each full plot of 10 rods is £65 pa and for each half plot of 5 rods is £32.50. Plots that are of irregular shape and size, say 6 rods or 8 rods, are charged proportionally. There is currently an administration charge of £10 levied for each new rental agreement. A deposit of £10 is also taken for each key. This is refundable on return of the key. Whipton Lane Allotments is a self-managed site so that the committee (not Exeter City Council) decides on the allotment fees each year. Membership of the National Allotment Association and Public Liability Insurance are automatically included in the rent that tenants pay. We would be more than happy to arrange a site visit for you, so that you familiarise yourself with the site, and to give you the opportunity to meet existing plotholders. Please email the Membership and Allocations Secretary to arrange a site visit. How can I apply for a plot? complete the online form below, and your application will be emailed to us. Either way we will notify you of the outcome of your application as soon as we can. This is dependent upon how many existing applications are on our waiting list. Your application will be considered along with others on the list by date of application. Allocations are made as soon as plots become available and subject to a site meeting on a date and time to be agreed by both parties. Whipton Lane Allotments is a self managed site under licence from Exeter City Council. We have agreed to only accept applicants who live in Exeter. . In the event that a plot is offered and declined, Whipton Lane Allotment Association will retain your application for one further occasion, however, your application will move further down a waiting list. In addition to our plot fees, (see above) a key deposit of £10 is required plus an administrative fee of £10 (this can be cancelled if the final agreement is made by email). In accordance with our responsibilities under the Data Protection Act, any personal information that you give to us will be held by Whipton Lane Allotment Association (WLAA) and will be kept secure from unauthorised access at all times. I wish to apply for a plot at Whipton Lane Allotments. I understand that my application will be considered along with others on the list by date of application.